Almost there - 40th Anniversary Celebration! The Mississauga Quilters Guild holds an Anniversary Dinner celebration every five years. On November 15, 2018, we will celebrate 40 years of quilting in Mississauga. Join current and past members for our 40th Anniversary dinner at the Credit Valley Golf and Country Club. Our speaker is Bridget O'Flaherty a thread painting artist from Ottawa. Visit Bridget's website at https://threadpaintedart.com/ . Details can be found in the Gala invitation document below. Please note that the workshop has been cancelled due to circumstances beyond our control. Last date to purchase a ticket is at the November 1, 2018 meeting. If you have not confirmed your meal choice, please see Darlene at the meeting to finalize. As you may know, the Mississauga Quilters Guild holds an Anniversary Dinner celebration every five years. 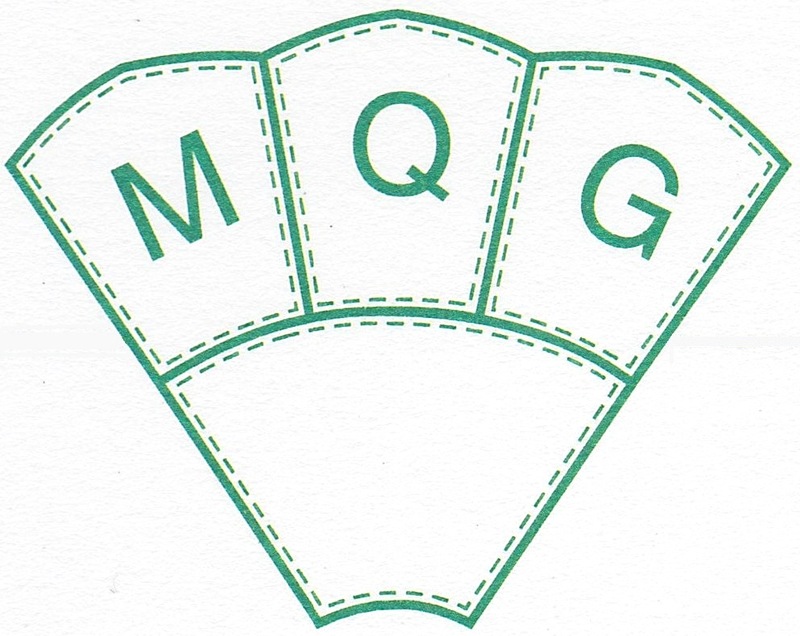 On November 21, 2013, we will celebrate 40 years of quilting in Mississauga. We were delighted to welcome Rosemary Mahkan as our special guest lecturer and teacher to this special evening. Her topic at the dinner was “Victorian Appliqué Revival”. Rosemary is a talented quilter, artist, author and teacher. She is a Canadian quilter who resides in Burlington, Ontario. As part of the celebration, Rosemary taught her “Provincial Flower Bouquet Wall Quilt” workshop. 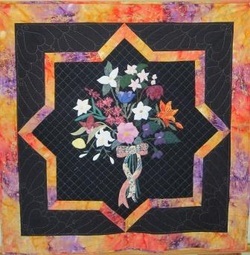 The Provincial Flower Bouquet Wall Quilt is a tribute to Canada. It presents the floral emblems of the provinces and territories of Canada in a lovely bouquet framed by a maple leaf border. Techniques include intricate trapunto, padded appliqué. Embellishments include embroidery in addition to other techniques. Finished size: 40" x 40".